How can I choose the right powerbank as the right corporate gift? With a Wide Range of Powerbanks and different suppliers as options for you to choose from your corporate gift, it makes your job difficult. 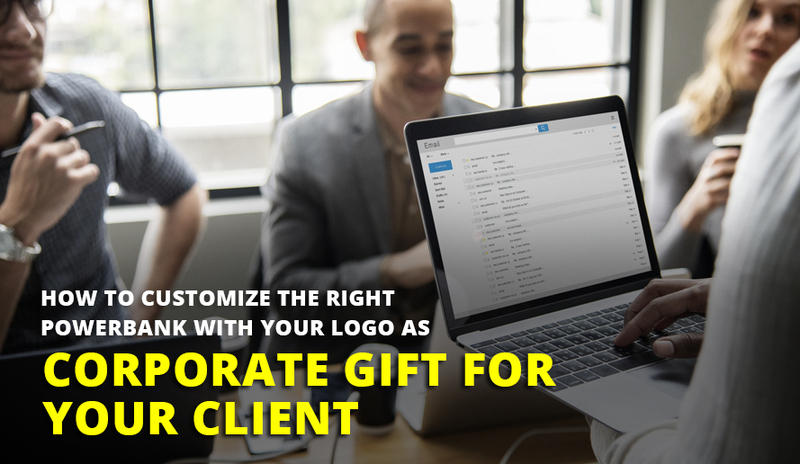 There are a lot of factors that you would need to consider before customizing the right powerbank with your branded logo as your company corporate gift for your customer. In terms of choosing the right supplier for custom power bank as your company corporate gift, it would be essential for you to get a local supplier for your powerbank supplier. This is because your supplier would be there in terms of any defects, issues once the order is fulfilled. On top of it, your local supplier is fully aware of the local safety regulations that are required to supply and use the product in your area. As a corporate gift, size is a big element because your clients would want to carry and use it on the go during their work and daily errands. It wouldn’t be very nice for your client to carry a big bulky powerbank on the go during your company event, tradeshows and meetings. Therefore customizing a small and slim power bank is highly recommended for a corporate gift as your client would use and carry it on the go during their work. I am sure you don’t want your Powerbank to look bad and odd shape with your company logo on it. This will draw unparallel feedback and bad reviews from your clients on your company corporate and promotional gift. Choosing a slim and cool looking powerbank would make your brand and company logo look good when you hand that corporate gift to your client. It wouldn’t be very nice if your client cant fully charges their phone with your custom branded powerbank. Moreover, I am sure you don’t want your client to get your custom branded powerbank being confiscated on board the plane. This is factors that you need to consider in choosing the capacity and rating of the powerbank. Our recommendation would be to choose a powerbank with a battery capacity rating of 5000mah to 12000mah and a charging speed of 1Amp to 2.4 Ampere. This would allow your client to charge 2 to 4 times their phone battery and even allow them to carry on board the flight which is within the limits of the airline carrier. It would also be good to get 2 USB charging port for your powerbank with at least 1 fast charging 2 amphere speed on your custom branded powerbank. This will allow your clients to charge 2 phones at the same time and yet too fast charge their phones at the same time. To put the icing on the cake, make sure you get a nice branded Logo print gift box to pack that custom branded powerbank for your client. Make sure the powerbank is seated nicely in a box where your sales and marketing team can pass the gift and impress your clients. It would also be essential for you to put a carrying case or pouch inside the box where your clients can slow the powerbank inside the pouch to protect against knocks and dents. We can’t argue that powerbank is one of the top corporate gifts for your clients considering that everyone uses a phone and spend multiple hours on mobile devices. Your customized Powerbank would allow your clients to perform their task on the devices without any worries whether their phone will fall out of favor of them. In addition, your clients would also be able to share and give your custom branded powerbanks with their family members and loved ones.